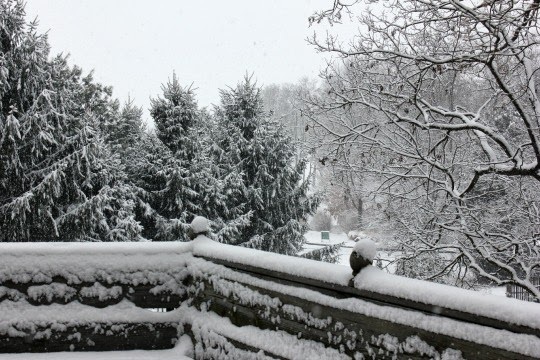 We're finally getting our first big snow of the winter here in Virginia today. It will be the perfect day to bake, read, crochet and craft! Oh yeah and make snow ice cream!! 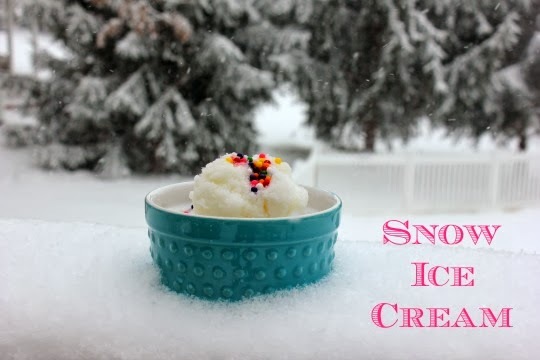 Snow ice cream is super easy to make and only requires 4 ingredients. Milk, sugar, salt and vanilla extract. Whisk milk, sugar, vanilla and salt into a large mixing bowl. Go outside and collect the snow. Immediately stir it into the milk mixture until you reach your desired consistency. Top with sprinkles and enjoy! Eat right away because it melts quickly.